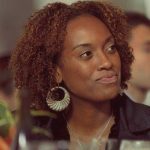 Carmen Bryant, Marketing Director for the US at Indeed, discussed how to find and attract the right talent in a rapidly changing work environment. Bryant began her thought leadership presentation at the 2019 Growth Forum: Becoming a Digital First Company, held on April 3 in New York City, by noting that her company, Indeed, is the largest job site in the world and has lots and lots of data. “Economists are looking at our data to see what’s driving the labor market and what the trends are. As we think about a growth culture, we need to think about how we find the right talent to nurture that growth mindset. We believe that, to have a great customer base and customer experience, you have to start with a great employee base and employee experience,” she said. “Jobs are changing, workers are changing, and hiring is changing, and this is disrupting how we traditionally think about finding talent. There are four key ways these changes are affecting the market for talent—interconnectivity, the accelerating impact of technology, demographic shifts, and changing job-seeker expectations and behavior,” Bryant pointed out. “In 2009, more than 1 billion people crossed borders. That’s five times what we saw in 1980. That means we’re seeing a host of new and unexpected competitors, we’re seeing volatility stemming from faraway places, and we’re seeing the disappearance of local jobs. We know more than 91% of people around the world are searching for jobs at least a few times a year. The whole concept of passive talent—people who aren’t engaged—is gone. About 53% of job searches happens online, and about 6.4% of people around the world are searching for jobs outside their country. Right now, the top market for talent is the US,” she said. “The next trend affecting the talent market is the acceleration of technology. Mobile and digital technologies are being adopted at an unprecedented rate. This means we’re seeing all kinds of new jobs being created, while, at the same time, automation is taking jobs away. According to the Bureau of Labor Statistics, 32% of workers may need to move out of their jobs by 2030 as a result of automation. Devices that are part of the Internet of Things are capturing tons of data and providing new insights. For example, wearables are providing information about our health and creating new health-related jobs as well as jobs in health-related research, marketing, and sales,” stated Bryant. “Demographic shifts are characterized by two factors—the influx of Millennials and an aging population. We’re about to experience an unprecedented number of workers leaving the workforce. How do we replace that experience? Millennials aren’t seeking certain types of jobs—truck driver, for example. Millennials are the largest and most educated generation in the workforce at 73 million—35% of the workforce. Almost a third of our population live in single-person households, so what are they looking for in terms of work culture, benefits, and work-life balance?” she asked. Rethink your talent pool—search for skills and adaptability not job descriptions. Engage the labor market—think in terms of work-life integration rather than work-life balance.